Tinder seems to be raising the stakes for creative flirting for its users by announcing the integration of Bitmoji. Bitmoji is an app that allows a user to create their own emoji character, who then becomes the center of action in the multiple graphic emojis that the app generates. The app itself can be integrated into other apps. SnapChat users may already recognize the app as an integration of the video and image sharing app. The Tinder integration with Bitmoji is possible through the Snap Kit development package. 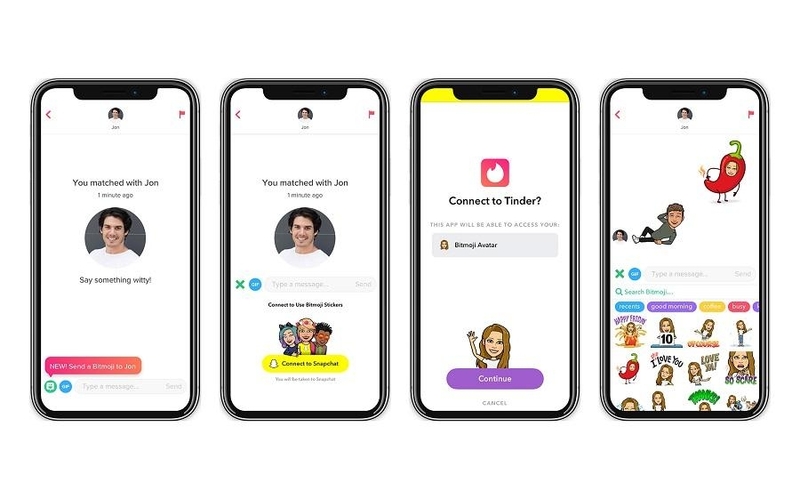 Tinder is looking to give its users more ways to communicate with potential matches by having a Bitmoji avatar look at least vaguely similar to how each user sees themselves. As a dating app, Tinder, used to have the option to send photos to your matches through chat. Tinder Moments, an old Tinder feature, also allowed users to upload Instagram story type updates that their matches could view and swipe right and left on before the uploaded photo disappeared after 24 hours. This feature has now been removed as part what appears to be Tinder's photo sharing embargo. Even one of its latest features, Tinder Feed, does not allow users to share photos beyond a user's matches seeing if a user had changed one of their already limited number of Tinder profile photos. The lack of photo sharing channels on the platform beyond the profile pictures themselves means that flirting on Tinder heavily relies on either a user's creativity in generating interest with their matches, or having spectacular profile photos that can attract matches to a user's profile. The integration of Bitmoji will surely help the former case of Tinder users. This new Tinder integration feature will begin testing first in Canada and Mexico. There is no definite date of release yet for other regions.